Here’s a fun, simple activity for kids learning multiplication facts or learning simple arrays. Use color tiles (or little square pieces of construction paper) to make the rectangles described in the riddle. Then draw your answer on the page (and write the multiplication fact is represents). Enjoy! 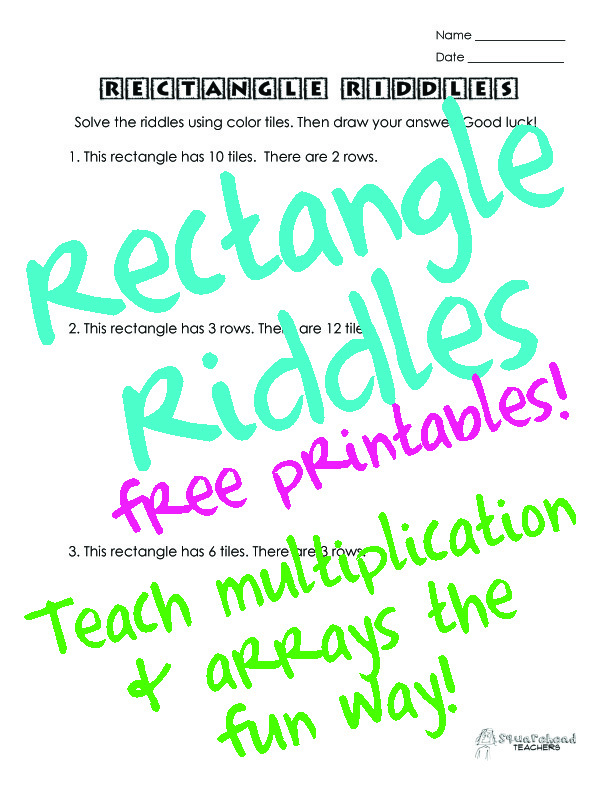 This entry was posted in Math, Multiplication and tagged arrays, Children, Education, Elementary School, Homeschool, Kids, Math, multiplication, rectangles, riddles, Teacher Resources, Teachers, Teaching by Squarehead Teachers. Bookmark the permalink.